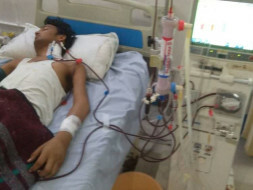 Rakesh is suffering from chronic kidney disease and is in urgent need for funds for his kidney transplant. 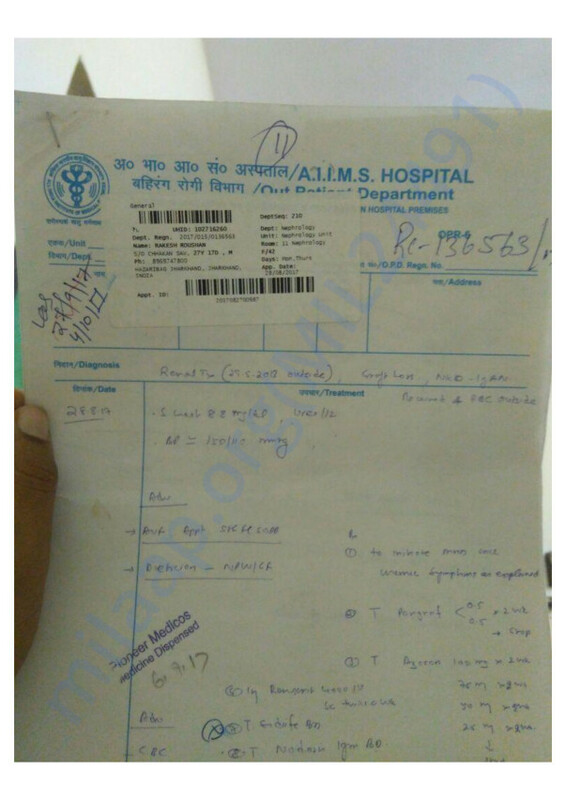 His current health condition doesn't allow him to work and is finding it difficult to gather funds for the surgery and is currently on dialysis which is going 15 times in a month (Dialysis which already cross 1 lakh till now). Rakesh is from a poor background and needs all the support can get for the transplant. His father is a small private agent, whose daily income cannot help him to go through all these expense. The treatment so far has been supported by the family and friends. Rakesh's Mausi Decided To Donate her Kidney, to save the Donor Expenses. Rakesh's mother has already given her 1 kidney on 2013 to him and which again got failed. 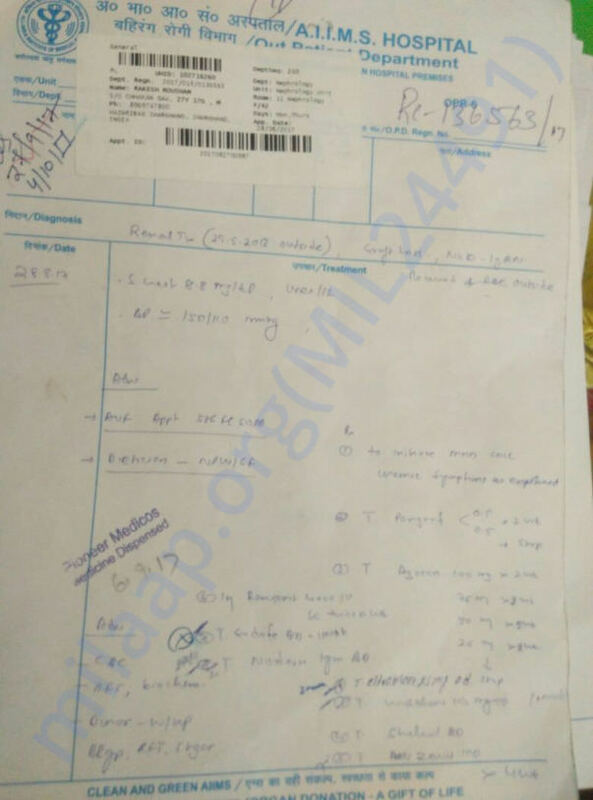 So Rakesh's Mausi has decided to be the potential donor but after tests, it was found that she is not a good match and his father health doesn't allow him to be a donor. 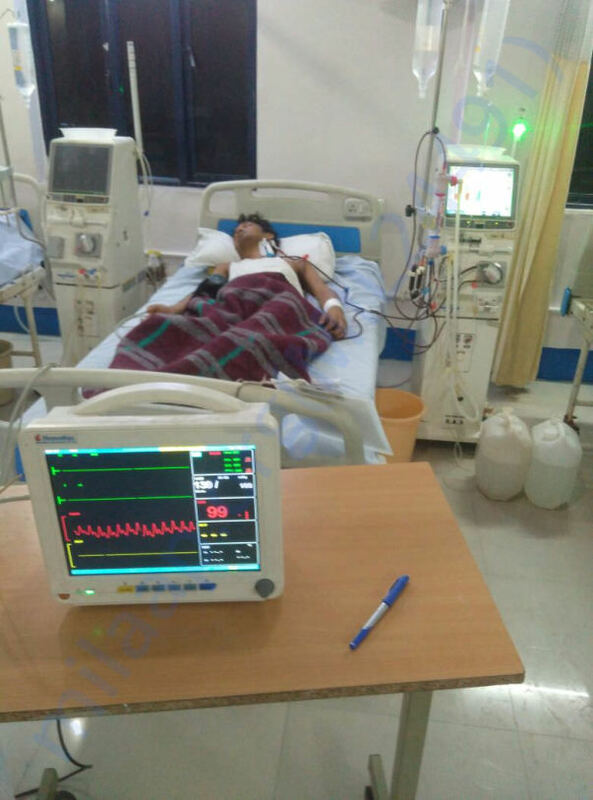 But the doctors found a way to help Rakesh, they have a donor ready and the cost of transplant will be around 12 lacs excluding medicines and injections after transplant for recovery. For Rakesh and his parents , it quite impossible to pay such a hefty amount for his transplant, medications and for other procedures. So If we could lend a hand to his family, Rakesh's Parents will get their son back. Funds will go towards his transplant, post-transplant medications and follow-up treatment for the next 2 months. Just think about your love ones who are no more and you could have done something for him/her at that moment. Please help Rakesh's parents to save their young son who is merely 26 years old. Her mother have an expectation in her eyes and praying like other mothers to have his son a normal life. I request all my seniors and friends to kindly help him in this transplant and make his live a normal life. I will be forever indebted to you. I have some unfortunate news to share. Rakesh passed away. His health was getting deteriorated, and he got to know he was suffering from hepatitis B. Due to that he became weak day by day and was not able to hold it for long.. The remaining funds in the campaign ( Rs 4595) after his medical expenses will be mapped to the below respective causes. Thank you very much for all your love and support towards Rakesh. We just want to bring it into your notice that we are withdrawing the whole amount for Rakesh further treatment and medications. He is again hospitalized and frequent basis it becomes tougher for all of us to arrange money for his ongoing treatment. We will keep on updating related to his health, treatment and all bills. We have provided the few months bills and will keep uploading the bills in future. If any questions, Kindly reach out to us at any point of time on my mail id sadique.manzar@gmail.com. The support every one of you has shown is commendable and meant a lot to Rakesh. Thank you very much for your generosity, it renews our faith in humanity. Thank you for all the love and support you have shown towards Rakesh Roushan. He is still on medication and we are still looking for a Kidney donor for him. 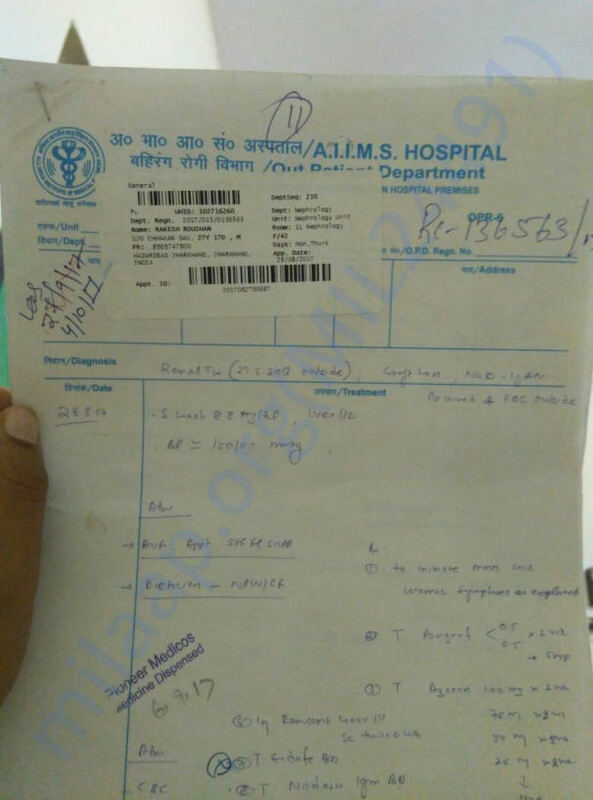 He is also suffering from Hepatitis B and the doctors have prescribed medication for the same. The doctors suggest that he needs a Kidney transplant once he recovers from Hepatitis B. His body become weak due to ongoing treatment of Hepatitis B and kidney dialysis. His monthly expenses for medication and treatment has increased due to suffering from 2 diseases. He got ill frequently due to which he needs to get admitted to the hospital. Thank you for all the love and support you have shown to him. It means a lot to all of us and it renews our faith in humanity. Please do share this campaign further with your friends and family and help us in raising funds. Would request you to pray for his health and speedy recovery. Will keep you posted.